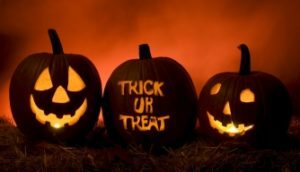 If you’re a Halloween and hip hop fanatic combined (like me), then you will want to keep reading for your top 3 songs that will suit your playlist for these few upcoming days. From his infamous “Yeezus” album released a bit before “Life of Pablo“, Kanye was able to deliver one of his most known songs into an elaboration of his personal life in a good message. Sampling “Gyongyhaju Lany” by Hungarian Rock Band Omega, he was able to deliver a brilliant piece with a Halloween touch. Throwing it back to some old school, Pac’s notorious song gives an eery vibe, present with his amazing rapping and lyrical ability. This song is able to display a Halloween vibe along with showcasing a bit of the 90’s rap era. If you really want to get down to a specific Halloween song, then the Fresh Prince crew can give you what you need. With a portrayal of “Nightmare on Elm Street“, the lyrics along with the instrumental touch sends out a Halloween type energy.